If you are interested in telling your football story, please see the information below, and get in touch. 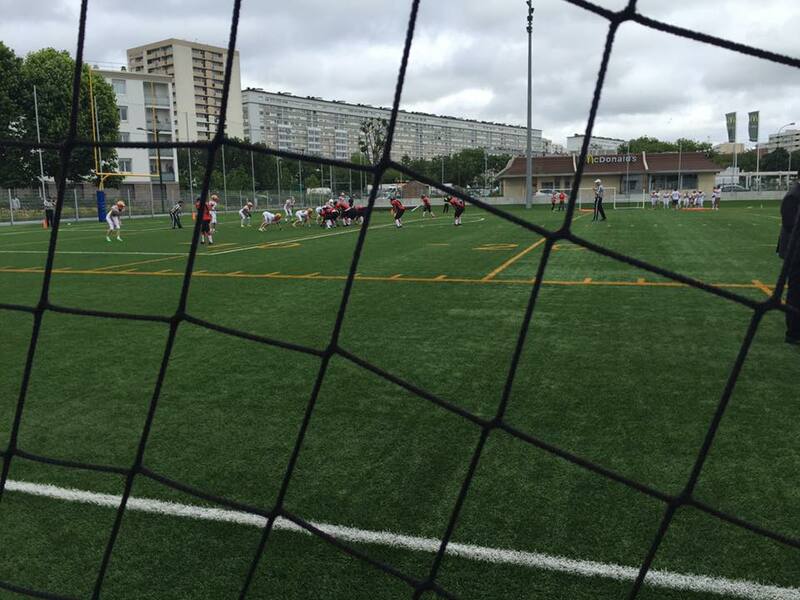 Molosses versus Argocanes, playing their game behind soccer's iron net in France. My first women's game! It was a great start - a hard fought game won by the Molosses 24-0. 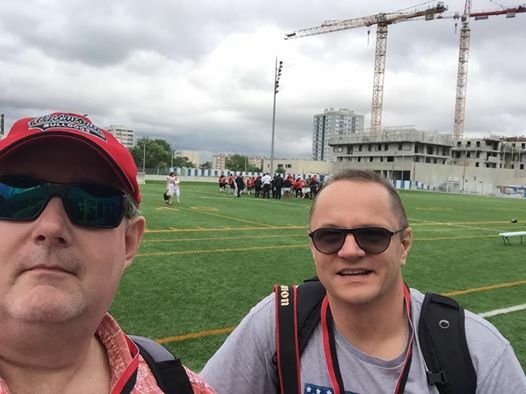 Jean-Marc (right) and I at Asnieres-sir-Seine for the final of the Challenge National Feminin - the Molosses d'Asnieres-sur-Seine vs. the Argocanes d'Aix-en-Provence playing American football.